As per the premise of the show, these three episodes have very episodic stories as far as the main narrative is concerned. Each features a new villain that Elizabeth Keen helps the FBI take down with the assistance of notorious criminal Raymond Reddington. But, in keeping with the mysteries established in the first set of episodes, we also get to see further character development and story progression with respect to those mysteries, particularly the mystery of whether Tom Keen is who he says he is. It goes without saying that James Spader excels once again. His cold, matter-of-fact attitude is just so damn good that he almost always steals the show and the other actors have to work all the harder to keep up with him. He is the man at the center of everything that is happening in this show and we begin to see that while he may be an agent of the change that is happening in the counter-terrorism world, he is also an actor in that he deliberately sets up some of these villains for the fall. That is indeed what he promised right in the show’s premier episode, but now he is much more active since he now has the freedom of action from the FBI and isn’t locked up in a box in a black site facility where he has no interaction with the outside world. Now he has two bodyguards of his own choosing, and is slowly activating his network of agents across the country. Episode 4 pits the team against a contract killer, someone hired to erase all evidence of a person’s existence. It is a very personal episode since Elizabeth gets caught by the killer and part of the episode is about how she deals with that situation, where her future is all about getting the worst of an acidic cocktail bath. This episode also shows a very emotional side of Raymond Reddington, and that frankly was very scary. The man is ruthless, this we already know, but to see the extent of that is another thing entirely. Episode 5 pits the team against the global criminal network’s messenger, known as the Courier. Given his status and notoriety, Red marks him as the team’s next victim and this episode was rather interesting in how strongly it differed from the previous one, which was all about emotions on a personal level while this one is the opposite in many ways. At the same time, we also see the beginnings of a larger mystery as Elizabeth and Tom get their house bugged by unknown people, really upping the tension of the larger story that is at work here. Episode 6 pits the team against a corporate terrorist who works for the highest bidder and is someone who could be involved in the mystery that surrounds Tom and the stack of passports and the cash and the gun that Elizabeth found in her home following Tom’s torture at the hands of her team’s first victim from the Blacklist. Once again, we get to see how the show deals with its characters on a very personal level. The show keeps pushing its characters buttons and this is typified with this episode to a great degree, especially with the ending which marks a very big reversal in the relationship between Elizabeth and Red. Each episode brings something different to the table. I really enjoyed the diversity of the bad guys. Its not just global terrorism that we deal with here, or just corporate espionage or local terrorism, but a mix of everything really. More than anything though, I loved the deep look that we got at both Elizabeth and Red, and even Tom, who was something of a blank slate and perhaps even a typical character at first but is slowly getting more depth and more nuance as the show progresses from episode to episode. With Elizabeth, she is at fulcrum of what is happening since she was dragged into the whole Blacklist operation by Red and she has no reason why. The show has been giving us some tantalising hints as to what that reason (or reasons even) might be, and since I’ve already seen the next few episodes, I feel both vindicated in the twist involved and a bit disappointed as well. Everything that happens to these character, be it the protagonists or the FBI/CIA agents involved or any of the other cast, nothing happens that is predictable. Which is really good for a show like this. Every episode impresses with the story and the acting. 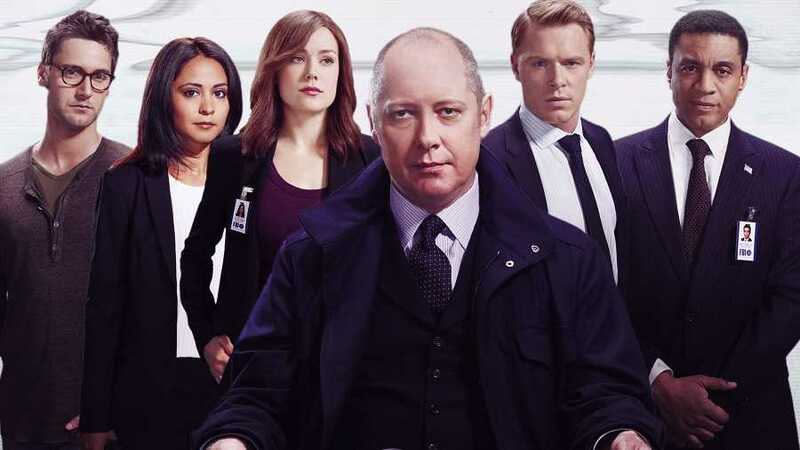 Megan Boone as Elizabeth and James Spader as Red are definitely at the top of the list here, and I love their performances equally. Megan has certainly been a surprise. I would love for her to take a more active, i.e. action-oriented, role in the show, but I’m fine with how she’s been shown so far since she has stood on her own. Its also nice to see that Diego Klattenhoff’s Agent Donald Ressler is also starting to change from permanently-grumpy to sometimes-grumpy whenever Keen is around. He considers her a liability, partly because of whatever mysterious connection she has to Red and partly because she is the point person on his case, he hunted for Red for years but now the job of managing him in the current circumstances has fallen to a rookie like her, instead of him. There’s an interesting dynamic there and while the show hasn’t really done much to explore it, we’ve gotten a few glimpses here and there. It seems to be a simmering side-plot and I’ hoping that it is explored further in the next few episodes (it is). Overall, one thing that bothers me about the show is that FBI is shown to be a little incompetent when it comes to dealing with Red. Sure, a show like this with a premise like this is dependent upon a group like the FBI taking the flak like this. Given everything that I’ve seen of the show till now, I’m not particularly hopeful that this will be addressed anytime soon and it remains a sore point. Sure, I love each episode and I enjoy the stories, but this isn’t a perfect show. If this point is addressed, then I think that this show could become a really good one. Of course, this is something that might well be addressed in the second season, since the show just recently completed its first season. But I have yet to see the last few episodes, so who knows? One thing that hasn’t bothered me at all though is the pacing of each episode. The first few episodes were slightly off, but this particular set is pretty good in that department. In closing, yeah, I’m having a lot of fun with this show and I expect things to continue on till the season finale. More The Blacklist: Eps 1-3. Posted on February 18, 2014, in Review Central, The Blacklist, TV Show Reviews and tagged CIA, Crime, Diego Klattenhoff, Donald Ressler, Drama, Elizabeth Keen, Espionage, FBI, Harry Lennix, Intelligence Drama, James Spader, Megan Boone, NBC, Parminder Nagra, Raymond Reddington, Review, Ryan Eggold, Terrorism, The Blacklist, Thriller, TV Show, TV Show Review. Bookmark the permalink. 10 Comments.